We’re big fans of incorporating squash into our meals at this time of year, and we think you’ll love our squash and sweet potato soup recipe. – Improve the quality of your sight. – Strengthen the immune system. – Manage symptoms of diabetes. – Reduce symptoms of insomnia. – Eliminate parasites and infections. – Protect against birth defects. 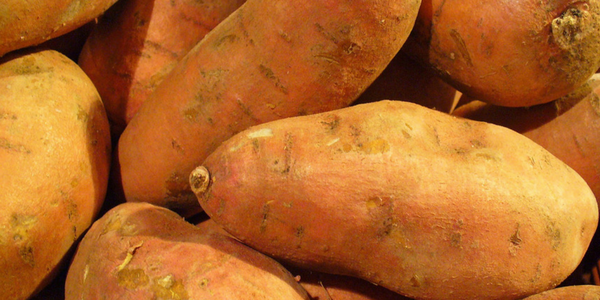 We’ve paired the squash in this recipe with sweet potatoes, known for their high levels of Vitamins A, C, E and B6, as well as being an excellent source of carbohydrates and dietary fibre. For this soup, we chose Festival Squash, also known as Carnival Squash. It has a smooth, sweet and nutty flavour. 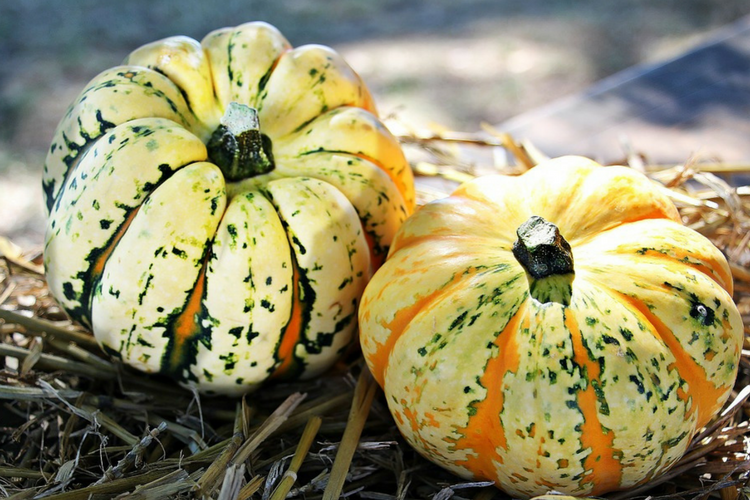 We managed to get some that was in season and locally grown, but if you don’t have a farm shop or market nearby you can use any in season supermarket squash, such as Butternut squash or Crown Prince pumpkins. This recipe is also soup maker friendly, so if you have one by all means put all the prepared ingredients into your appliance and select the “smooth” function. TOP TIP: To make peeling the squash easier, use a sharp knife to make slits all around the vegetable. (It doesn’t have to be neat.) Then place into the microwave on a high setting for 2 minutes. Leave the squash to cool for a few minutes before peeling the skin off with your fingers or a knife. If you are using a soup maker, put all the ingredients (except the oil and parsley) into the soup maker and select the “smooth” function. 1. Make up the stock with 2 stock cubes and 750ml hot water. Set aside. 2. Heat the oil in a large pot and add the diced onion, cooking for about 5 minutes until soft. 3. Add the squash and sweet potato to the pot, stirring to coat the vegetables in the oil. Cook for 2-3 minutes. 4. Add the stock mixture to the pot and reduce the heat to a simmer. Add more water to cover the vegetables if required. Cover and cook until the vegetables are tender. 5. Once the vegetables are tender, let the soup cool slightly. 6. 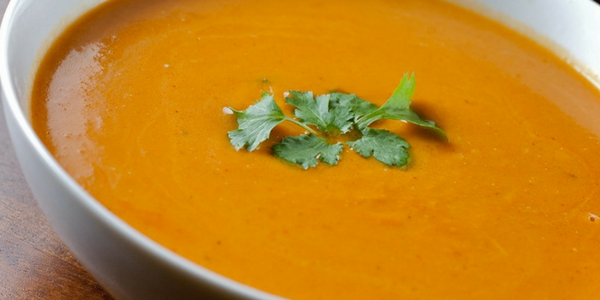 Using a hand blender or a mixer, puree the soup until smooth. 7. Garnish with parsley and serve immediately. We hope you enjoy this squash and sweet potato soup recipe as much as we did. This cosy soup goes perfectly with a fresh, crusty roll, and is best enjoyed on a cold day. To switch the recipe up a bit, you can always try roasting the squash and sweet potato with a little garlic first before simmering with the stock. You can enjoy deliciously seasonal foods such as this on one of our AyurvedicYogi retreats.